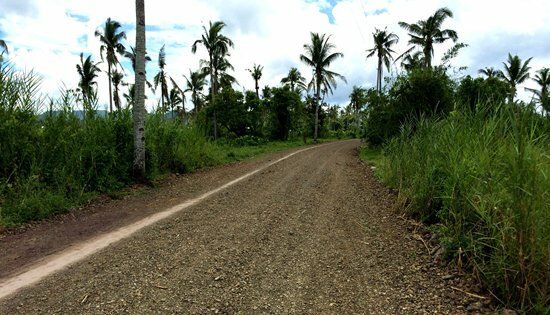 TACLOBAN CITY – Nine months after the completed road project here was turned over, Alicia D. Josol, Barangay Captain of Barangay Salvacion in Alangalang, Leyte, remembers the time when the way going to her village was dangerous, as it was very slippery. Accidents happened regularly. She even fell down one time from her ride on a motorcycle or “habal-habal,” as it is commonly known in the area. There was no decent road at all. It was an unpaved one, only a foot trail where pedestrians, animals and motorcycles could pass by. The road was such in a terrible state that accidents are an accepted reality. It was part of the price to pay when going to the village. It was also a reality that they would have to wade through waist-deep water every time it rains just so they could go to their place, Josol said. Now, these are just memories of the past. Josol thanked the Department of Agrarian Reform (DAR), the Asian Development Bank (ADB) that provided the funds under the second phase of the Agrarian Reform Communities Project, and the local government unit (LGU) of Alangalang. Mayor Reynaldo Capon Sr. said that today, the road is made more comfortable. People can already travel here and to the adjacent Barangay Langit using a bicycle, something that used to be unthinkable before, he added. There are now more vehicles that ply this area. Motorcycle fare has gone down to P20 from the previous P80 to P100, Capon said. The P8.49-million total project cost of the 3.55-kilometer road was shouldered by the LGU and a loan from the ADB by the national government. Thus, Regional Director Sheila Enciso reminded the recipients during the turnover of the said road project to maintain it in good condition for 10 years. Otherwise, the LGU will have to pay the loan counterpart, equivalent to 40 percent of the total project cost. Meanwhile, Leyte-Biliran Provincial Agrarian Reform Program Officer Renato Badilla advised the residents in the area to take this opportunity in improving their quality of life. According to him, this project is aimed at increasing household income by improving farm production, thereby reducing poverty in the countryside. QUEZON CITY – The tax reform program by the Duterte administration will further drive increases in tuition and other school fees (TOSF) collected from students in private higher education institutions (HEIs). “The annual burden of increases in TOSF in private HEIs will be aggravated by Duterte’s tax reform which is now being cited to legitimize proposals to increase TOSF for the next academic year,” said Raoul Manuel, Deputy Secretary General of National Union of Students of the Philippines, a nationwide alliance of student councils. In Far Eastern University (FEU), the eighth largest private HEI in the country in terms of enrolment, the school administration used Republic Act 10963 or the Tax Reform for Acceleration and Inclusion (TRAIN) Law to justify the five-percent increase in semestral energy fee from P1,800 in AY 2017-2018 to P1,890 in AY 2018-2019. From the hike in energy fee, FEU can earn an additional income of P3.4 million from its over 18,000-strong student population. In addition, the total miscellaneous fees charged from FEU students will rise to as much as P10,914 for AY 2018-2019, which will amount to around 400 million pesos in income for the school. Energy fee, which is commonly collected from students both in state and private universities to cover the cost of consumption of electricity and other energy sources, is one of the many fees that school administrators want increased as they expect higher electricity bills due to the TRAIN Law. For NUSP, Duterte’s tax reform law gives capitalist educators and private school owners more reason to justify their incessant fee increases to amass superprofits from their students. According to the reports they gathered, among the over 400 schools projected to apply for fee increases this February are those that take in the most number of students in their regions. Saint Louis University in Baguio City, the country’s second largest private HEI in terms of enrolment, has a student population of 32,725 as of 2017. This university will impose an eight-percent increase in tuition fees for the next academic year. Located in Angeles City, Pampanga, Holy Angel University recorded an enrollment rate of 15,963 as of 2017, the highest in Central Luzon. Next academic year, this private Catholic university is set to raise tuition fees by six percent and all other fees by five percent. In Northern Mindanao region, Capitol University stands as the private HEI with the fourth largest student population. This school will implement a five-percent across-the-board increase in tuition and other fees. “Students and their families suffer from the rising cost of education and other daily necessities. Students will walk out of classes on February 23 to show their opposition to the TRAIN Law which will further drive Filipinos along the road to poverty and misery,” said Manuel. TACLOBAN CITY – Eastern Visayas welcomed 2018 with a 4.5 percent Inflation Rate (IR). This January 2018 IR was 0.5 percentage point faster compared with its 4.0 percent IR a month ago and 1.7 percentage points faster than the recorded 2.8 percent IR in the same period last year. The regional inflation rate was 0.5 percentage point faster than the 4.0 percent national average. Three provinces in the region – Northern Samar, Eastern Samar, and Biliran posted faster inflation rates in January 2018 compared with their figures in December 2017. On the other hand, Southern Leyte and Leyte registered decreases, while Samar had sustained its inflation rate from December 2017. Northern Samar registered the highest IR at 7.3 percent, while Southern Leyte posted the lowest IR at 1.5 percent (Table 1). By major commodity groups, Transport, Food and Non-Alcoholic Beverages, Alcoholic Beverages and Tobacco, and Furnishings, Household Equipment and Routine Maintenance of the House exhibited higher annual growths from December 2017 to January 2018. On the other hand, annual price changes in the Housing, Water, Electricity, Gas and Other Fuels, and Health slowed down from December 2017 to January 2018. The rest of the commodity groups retained their previous month’s rates. The Purchasing Power of Peso (PPP) of the region was recorded at P0.61 in January 2018. This is weaker compared with the P0.62 PPP registered in the previous month. This PPP implies that goods and services worth 100 pesos in January 2018 only costs 61 pesos in 2006. Northern Samar, Biliran and Eastern Samar registered decreases in PPP compared with their figures in December 2017. The rest of the provinces had sustained its PPP. Biliran recorded the strongest PPP at P0.65, followed by Northern Samar and Leyte at P0.62 and P0.61, respectively. Eastern Samar, Samar, and Southern Leyte, meanwhile, posted the weakest PPP at P0.60 (Table 1). QUEZON CITY – There is no government policy addressing workplace romance in the country but there is none that prevents an employee from falling in love with her/his boss either, claims the labor group Associated Labor Unions-Trade Union Congress of the Philippines (ALU-TUCP). An employee falling in love with her/his boss is okay as long as it is exercised across-the-board, says labor group Associated Labor Unions-Trade Union Congress of the Philippines (ALU-TUCP) yesterday. “Since there is no government policy governing workplace romance between co-employees or between a rank-and-file employee falling in love with her boss or vice versa for that matter, the matter of workplace romance issue is controlled by company’s management prerogative. And some employers use or create such prerogative to lay off, demote, or transfer their employees,” Tanjusay said. That is why the ALU-TUCP is calling for the Department of Labor and Employment (DOLE) to step in and issue guidelines on inter- and intra-office workplace romance policy to prevent abusive employers from such oppressive management prerogatives. “The law is vague and subject to many interpretations. Therefore, many employers tend to demote, transfer, or lay off their employee on the basis of having a relationship with their boss or with their co-employee – particularly those who are not unionized,” he said. “Though judicial jurisprudences had always been in favour of complainant workers, the DOLE regulation can help minimize employees and management from strained relations and physical, financial and emotional exasperation of going to the courts for those felt injustice,” Tanjusay aid. In its policy engagement with the DOLE, the ALU-TUCP, however, maintains that company policy should allow, not prevent, workplace romance, period. Workplace romance should not be the cause for dismissal, demotion, transfer, or diminution of wages and benefits. “The management prerogative’s policy on intra-office workplace romance should not be restrictive. While we respect such prerogative, the most extreme the policy can do is transfer an employee to another division or department,” Tanjusay said. The ALU-TUCP also maintains that workplace romance company policy only covers the couple’s professional relationship from 8a.m. to 5p.m. office hour period. (L-R) City Engr. Marlo Resulta, MPP Mario Balani, CCDHO Atty. Anthony Singzon, Cong. Edgar Mary Sarmiento, DE Alvin Ignacio, City Engr. Restituto Monsanto, RROW Coordinator Anthony Baltazar and Maintenance Chief Engr. Ramon Calagos. CALBAYOG CITY – A consultative stakeholders’ meeting between Congressman Edgar Mary Sarmiento and representatives from Samar First District Engineering Office, City Engineering Office and Calbayog City Development Housing Office was conducted last January 25, 2018 at Rep. Sarmiento’s District Office in Brgy. Payahan, Calbayog City. The main agenda for the said meeting was the strict implementation of the Right-of-Way (ROW) limit along National Roads. During the meeting, District Engineer Alvin Ignacio informed everyone that SFDEO will implement a ROW patrol which will be directed to immediately remove or cause the removal of all obstructions and prohibited uses within the ROW of all national roads within the District and to prohibit the presence or occurrence of structures, objects and activities along our national roads as well as strictly disallow the building, erection, construction, planting and fabrication of any barricade. Selected maintenance personnel will form the ROW patrol and will conduct routine roving activities in order to maintain the 10-meter ROW limit. If they encounter obstructions of any kind within said limit, its immediate removal shall be executed. QUEZON CITY – A nationwide student union is calling to investigate the Commission on Higher Education (CHED) regarding the use of over eight billion pesos allotted to free tuition for calendar year 2017. National Union of Students of the Philippines (NUSP), the broadest alliance of student councils in the country, expresses grave concern over the disbursement of the Higher Education Support Fund (HESF), which is supposed to cover the tuition of students enrolled in state universities and colleges (SUCs) for the first and second semesters of Academic Year 2017-2018. “CHED should have already given each SUC its share of the free tuition funds. But up until now, CHED has not released any report as to how the funds have been disbursed,” said Raoul Manuel, NUSP Deputy Secretary General. Based on Joint Memorandum Circular 2017-01 released by CHED and the Department of Budget and Management, CHED must post on its official website the amount of HESF funds disbursed to each SUC within one month after the end of each enrollment period. However, no official documents pertaining to this have been released by the Commission to date. For the NUSP, the delay in the release of funds has adversely affected students enrolled in SUCs. “We have gathered numerous reports from students who were compelled to pay tuition fees despite the existence of the free tuition policy. More stringent requirements were imposed on students so that many would be exempted from the policy and be forced to pay tuition,” lamented Manuel. “Others were not charged tuition but were compelled to pay higher miscellaneous fees in their schools. This is part of the measures taken by SUCs to secure their profits at the expense of the students,” said Manuel. “Decades of implementation of government policies that commodity education, have pushed SUCs to become profit-oriented. Looking more deeply into the problem, it is not surprising that SUCs are doing this. Thanks to our commercialized educational system: it has become the instinct of schools to charge higher or new fees to keep their bank accounts filled to the brim.” ended Manuel. QUEZON CITY – “Maaring naghihirap ang mga Lumad, pero hindi nila kultura ang maging bayaran, lalo’t hindi ang pumatay!” Jerome Succor Aba, co-chairperson of Sandugo (Movement of Moro and Indigenous Peoples for Self-Determination) said today in response to President Rodrigo Duterte’s offer to the Lumad of P20,000 for every NPA they kill. “President Duterte’s offer to recruit and train the Lumad to be members of the Civilian Auxiliary Forces Geographical Unit (CAFGU) and kill members of the NPA for money is the height of his desperation to eliminate the insurgency in Mindanao,” Aba said. “This only means that his soldiers with all the new equipment, overflowing funds and the tacit support of the United States military, could not suppress of the intensifying civil war especially in Mindanao. Pres. Duterte has to resort to bribery to gain the support of the Lumad or forcebly recruit them to kill for him,” Aba said. “The Lumad survived centuries without much need of cash but by developing the land and resources in their ancestral territories. Their deep sense of community and identity impel them to protect themselves from outsiders who want to plunder their lands. By trying to divide and pit them against each other through military training and offer of money to kill is simply bastardization of their culture. Pres. Duterte reeks of the worst discrimination against the Lumad,” Aba said. “Many of the Lumad leaders, who were previously offered large sums of money to allow private corporations into their ancestral lands, were killed by CAFGUs or paramilitary groups after they refused the offer,” Aba said. He cited the case of Datu Jimmy Liguyon who was killed in 2012 by paramilitary leader Alde Salusad. In 2016, Salusad led his group, the New Indigenous People’s Army for Reform (NIPAR) that killed a pregnant woman and wounded five children in San Fernando, Bukidnon. Aba also mentioned the infamous Lianga massacre on September 1, 2015 where Datu Juvello Sinzo, Lumad school director Emerito Samarca and Lumad leader Dionel Campos were murdered by the paramilitary group Magahat-Bagani led by Bobby Tejero and Loloy Tejero and elements of the 36th Infantry Battalion. “The list goes on of the Lumad getting killed by their fellow Lumad who were trained, brainwashed and paid by the Philippine military and the government,” Aba said. “President Duterte’s offer to kill for money will further embolden the paramilitary groups, CAFGU and the Philippine military to kill anyone they label as NPA” Aba said. “This is also the case of the Capion massacre,” Aba said. On October 18, 2012, elements of the 27th Infantry Battalion and members of the CAFGU strafed the hut of the Capion family and killed the mother, Juvy who was pregnant and her two sons, Jordan, 13, and John Mark, 8. The father, Daguil Capion then led his community against the entry of mining in their ancestral lands. The AFP later announced it was a legitimate NPA-AFP encounter. The massacre exposed the Task Force KiTaCo (Kiblawan, Tampakan, Columbio) as a special unit created by the Philippine Army to protect SMI-Xstrata’s mining interest in Tampakan, South Cotabato. “The Lumad communities and their leaders do not need the money offered by Pres. Duterte but the respect of their right to their ancestral lands and resources that they can develop for the coming generations. Duterte can offer a bigger amount but the Lumad will always reject this and continue to defend their ancestral lands even if it takes to be labelled as NPAs and be killed by their own corrupted and trained to be mercenaries by the AFP and Pres. Duterte,” Aba said. “This same corrupted line of thought and prejudice against the Lumad by the US puppet and fascist Pres. Duterte will only lead to further intensification of the legitimate resistance of the Lumad and the Filipino masses. His only way out of this social conflict is to pursue the peace talks and address the roots of the on-going armed conflict,” Aba concluded. 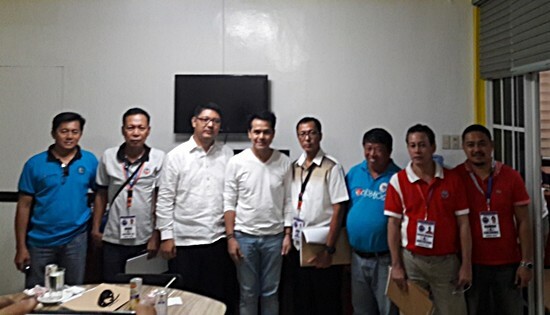 QUEZON CITY – President Rodrigo Duterte ordered the creation of a small task group that would set in motion the P500 monthly cash voucher government subsidy and concrete steps in bringing down electricity rates being proposed by the Associated Labor Unions-Trade Union Congress of the Philippines (ALU-TUCP) to help minimum-wage earners cope with the rising cost of living. “During a dialogue with labor groups last Wednesday, the President ordered the creation of a small working group composed of four representatives from his cabinet and four representatives from the ALU-TUCP to discuss how to operationalize the subsidy and the proposed measures in bringing down the cost of power,” said ALU-TUCP spokesperson Alan Tanjusay. Duterte’s order followed after the group discussed the matter in a dialogue with labor groups in Malacañang last Wednesday. The government’s task group is made up of secretaries from the Department of Finance (DOF), Department of Energy (DOE), Department of Labor and Employment (DOLE) and the Department of Budget and Management (DBM). They are to meet with ALU-TUCP representatives on March 15, 2018. The proposed subsidy came amid the country’s highest daily minimum wage fell by 30% due to the inflation caused by the usual demand and supply hikes and by the implementation of Tax Reform Acceleration and Inclusion (TRAIN) excise taxes on fuel and sweetened beverages, the ALU-TUCP said. In a monitoring being conducted by the group, as of February 10, 2018, the purchasing power of daily minimum wage of P512 in Metro Manila region fell to P360.31 a day – an remarkable erosion of P151.69 a day. “In sum, workers’ lose a total of P3,943.94 a month to inflation. With this amount, a family can buy additional food needed for them to stay healthy in our society and remain productive citizen in nation-building. But it looks like there is no immediate relief in sight coming from the Duterte government to extend government assistance to those who are immersed in poverty and no safety nets for those who are about to fall into poverty,” said ALU-TUCP spokesman Alan Tanjusay. The Bangko Sentral ng Pilipinas (BSP) noted the inflation rate nationwide at 4% in January 2018. The ALU-TUCP is proposing to President Rodrigo Duterte a P500 monthly cash voucher subsidy for an initial 4 million minimum wage earners to help them cope from rising cost of living and as safety net for them from falling into further poverty. QUEZON CITY – Youth and students led by the National Union of Students of the Philippines (NUSP) stormed Commission on Higher Education (CHED) on Friday to condemn the proposed increase in tuition and other school fees (TOSF) this year and the continuing collection of TOSF in State Universities and Colleges (SUCs). “Due to this Commission’s inutility, private Higher Education Institutions (HEIs) have freedom to increase TOSFI without any disapproval from the government, while SUCs still find ways to collect tuition and other school fees, despite having a Free Education law in place,” NUSP Deputy Secretary-General Raoul Manuel said. The Union exposed on Monday that around 400 schools will increase tuition and other school fees this year at an average rate of six to ten per cent. “The increase in tuition and other school fees is indeed an added burden to students. We are talking about thousands of pesos in addition to the expensive cost of education in private schools,” Manuel claimed. NUSP also slammed the continuing tuition and other school fees collection in State Universities and Colleges. According to the Union, several SUCs ‘maneuver’ RA 10931 or the Universal Access to Quality Higher Education Law to still collect fees from the students. “In Polytechnic University of the Philippines (PUP), students were required to pay miscellaneous fees amounting to P1,500 to P6,000. Freshmen also paid the whole amount of tuition and other school fees,” Manuel reported. “In University of the Philippines (UP), some students were forced to opt-out of the free tuition policy. In the Manila campus of UP, freshies also paid tuition and other school fees,” Manuel added. NUSP also received complaints from Visayas State University where free tuition was implemented to cover all students on the first semester of Academic Year (AY) 2017-2018, but was withdrawn in the second semester and the school switched to limiting the beneficiaries of free tuition, similar to the discriminatory Socialized Tuition System of UP. Moreover, the school revised its grading scheme to automatically give a grade of 5.0 (failure) to students with INC (incomplete) standing. “Under the deceptive law, students with failing grades will no longer be qualified for free education. This implies that the school can now collect tuition and other fees from them, regardless of the fact that some students fail their subjects because, in the first place, they work while studying to cope with the exorbitant school fees,” said NUSP. The student union likewise denounced the “profiteering” in private schools through tuition and other school fees increases. “Private school owners lie through their teeth when they say that tuition hikes will lead to higher quality of education. Their historical financial data belie their own statements: fee hikes only result in higher profits for these capitalist-educators who see education as a good business venture,” claimed Manuel. According to the study conducted by the NUSP, among the schools with millions of revenues from tuition and other school fees last 2016, the University of the East (UE), Lyceum of the Philippines University (LPU), and Far Eastern University (FEU) topped the list with 600 million pesos each in gross revenue from tuition and other school fees. “Duterte and his agencies should know what they are signing up for. The more expensive education gets, the bigger the protest actions will be outside their gates. They must brace up to face the students’ rage if they continue being a protector of these capitalist-educators,” ended Manuel. NUSP called on to the students to join the National Walkout on February 23.